It is with great sadness and heavy heart that we announce the passing of Frances Taylor Davis, the first wife of music icon Miles Davis. Known for her charm and great sense of humor, she once said on a panel at the GRAMMY Museum: “I’m the first Mrs. Miles Davis. I went the distance.” More recently, she was portrayed in the film “Miles Ahead” by actress Emayatzy Corinealdi. Frances was granted a scholarship at age 16 to study dance at the Dunham Technique in NY with Katherine Dunham. She trained and toured extensively with Dunham’s professional dance company in Europe and South Africa. On the 1948 tour, Frances was recruited for a special presentation to perform with the Paris Opera Ballet. She was the first African American in the history of the company to be invited to perform with the esteemed company. Frances partnered with Dunham school teacher Walter Nicks and became known as “Nicks And Taylor,” opening for the Benny Goodman Orchestra. 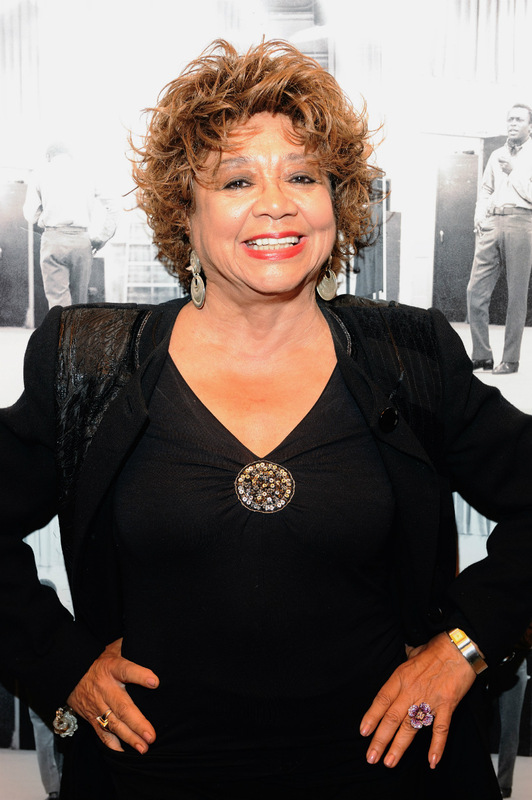 She also appeared with Sammy Davis, Jr. in “Porgy And Bess,” “Mr. Wonderful” and “Shinbone Alley,” along with the original cast of West Side Story on Broadway, and with Elvis Presley and Connie Stevens on the Ed Sullivan Show. Known as West Hollywood’s Original Diva, she became a hostess at Roy’s Restaurant, Le Dome, Chasen’s and Hamburger Hamlet on the Sunset Strip following the end of her career. She is survived by her son Jean Pierre Durand, step-daughter Cheryl Davis, grandchildren Nicole Durand Sewer, David Durand and Parami Ariana Durand; four great grandchildren, and nephews Maceo Taylor III, Don Taylor, Vince Wilburn, Jr. and sister-in-law Willie Marie Taylor. Additionally, grand nieces, nephews, cousins and a host of loving friends. RIP – We love you Frances.